KUALA LUMPUR (Oct 3): Lower global production costs, considerable U.S. shale growth potential and shale's ability to quickly respond to changing market conditions should keep average annual oil prices below US$60 a barrel in the long term, according to Fitch Ratings. In a statement on its website yesterday, Fitch however said oil prices will remain volatile and could periodically exceed its assumptions. “We have updated our base-case price assumptions to reflect the limited upside for prices in the long term. “We have also reduced our UK National Balancing Point gas price assumptions due to our updated oil price assumptions and an expectation that global liquefied natural gas capacity additions will probably result in a supply surplus,” it said. Fitch said the land rig count in the U.S. lower 48 has risen around 45% since the end of 2016, contributing to a rebound in U.S. crude production to over 9.5 million barrels a day (mmbbl/d) from a trough of about 8.4 mmbbl/d in July 2016. The ratings agency said it continues to expect U.S. production growth to remain robust in the second half of 2017 based on the roughly two- to four-month lag between spudding shale wells and production. “We remain sceptical about the effectiveness of OPEC's production cuts to rebalance supply and demand in the near term, as well as to materially reduce crude stocks given the exclusion of Libya and Nigeria (both producing at higher levels since the cut), weak enforceability, and poor track records of adherence. 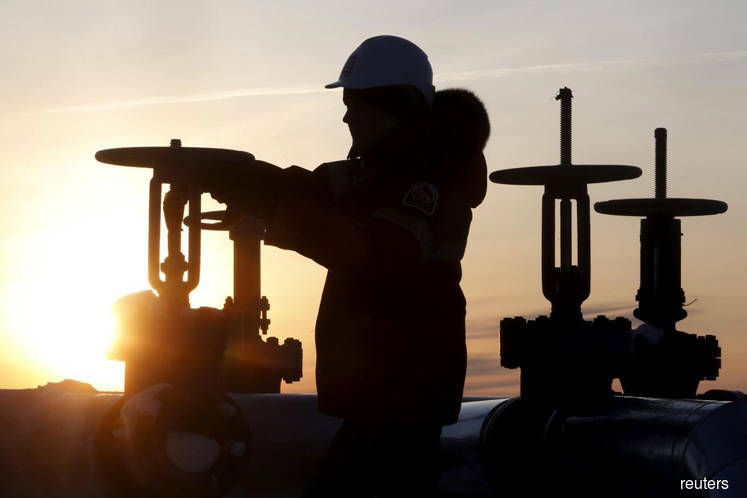 “OPEC's average compliance rate slipped to 75% in July from almost 100% at the beginning of the year, according to the International Energy Agency. It improved to 82% in August, but overall we expect average compliance rates in 2H17 and beyond to be weaker than in 1H17,” it said. Fitch said global inventories of both crude oil and refined products remain well above historical averages. However, it said Hurricane Harvey, which hit the U.S. Gulf Coast in early September, caused a steep decline in U.S. refinery utilization and widening of refiner margins. “As U.S. Gulf Coast refiners re-establish operations, these wider margins should provide an economic incentive for refiners to meaningfully work through recent crude oil inventory builds,” said Fitch.